Keep your pension money invested and you can vary the amount of income you draw each year according to your needs. Increasing numbers of people are asking for greater flexibility from their pension. Traditionally people worked till 65 and then retired, but increasingly people are phasing their retirement, perhaps going part-time before they retire fully. The good news is that with a drawdown pension you can vary your pension payments according to your needs. By leaving your pension invested your pension fund has the opportunity to benefit from further investment growth. Investments can of course go up or down and if the investments fall there is the risk that you will be looking at a lower level of pension income in the future. 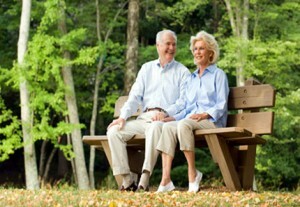 If you do not feel comfortable with ongoing investment risk, then an annuity might be a better option. Some people choose to use drawdown because they need their tax free pension commencement lump sum, but they don’t need their pension income. For example they may use their tax free lump sum to pay off their mortgage, but do not need to draw the pension income as they are continuing to work. Presently you can vary the level of income drawn from nothing up to an annual maximum within limits specified by legislation, which was put in place to prevent people depleting their pension funds too quickly. Generally the maximum you can draw will be around 50% higher than what the level of income you could buy with an annuity. However from April 2015 these limits will be removed and you can withdraw however much income you want. Drawdown can be a much more tax efficient way of drawing pension income than annuity, particularly for people with higher value pensions. With Phased Drawdown you draw the tax-free cash over a number of years, rather than all at outset, this reduces your ongoing income tax liability before age 75 and can offer substantial savings in income tax. Whereas with an annuity you have to decide at outset whether to incorporate a pension for your partner, drawdown offers MUCH greater flexibility in respect of death benefits. This can be particularly beneficial if you are not in a long term relationship, if you or your partner have health concerns or where you want to ensure your children could benefit from the pension after you die. Drawdown has considerable risks and costs which must be considered and is not suitable for everyone. Even if you do not require income now, as advisers we must consider what level of annuity you COULD get and compare this with the level of investment growth you would have to achieve in drawdown to make it worth not buying an annuity. As there is not just the investment risk to be considered but also the risk that annuity rates may be lower in the future and that you have missed out on the income in the mean-time. You also have to consider the effect of the ongoing charges. Drawdown is not generally recommended for pension funds of less than around £100,000 as it is not likely to be cost effective. Drawdown can seem complicated, but we take time to explain things so that you can understand.